YouthWorks commemorated Martin Luther King Day, January 21, with a day of service honoring 200 Santa Fe first responders. Under the direction of Chef Carmen Rodriguez and Sous Chef Jackie Gibbs, a team of Youthworks students baked 80 loaves of banana bread and 45 dozen chocolate chip cookies to deliver to nearly 250 police officers and firefighters on Monday at fourteen sites around the city. 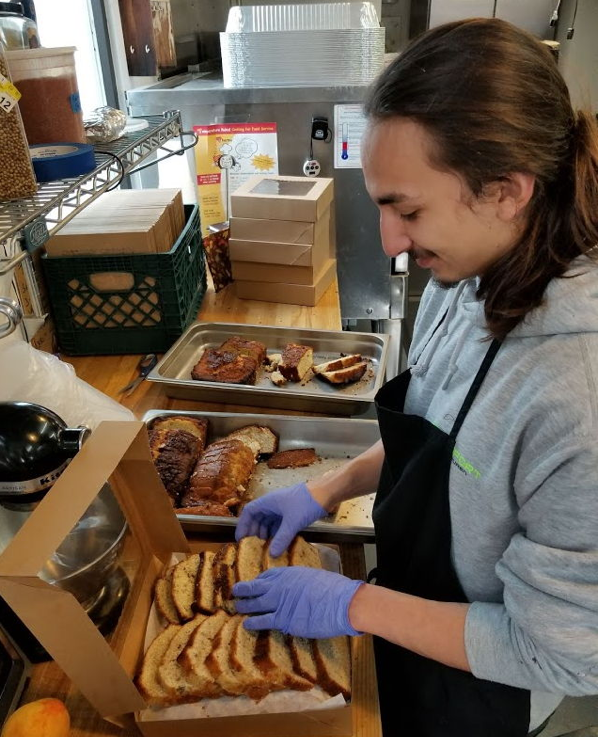 Youthworks students Joseph Salazar and Audi Rodella bake and package treats all day Friday to deliver to first responders in honor of MLK Day. 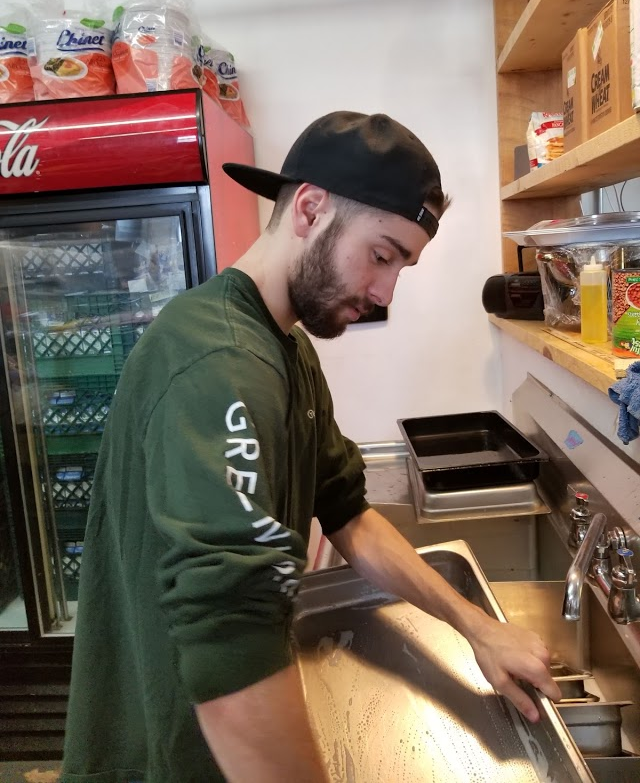 According to YouthWorks Founder and Executive Director Melynn Schuyler, “YouthWorks creates opportunities for youth to learn, grow, and give back to the community. 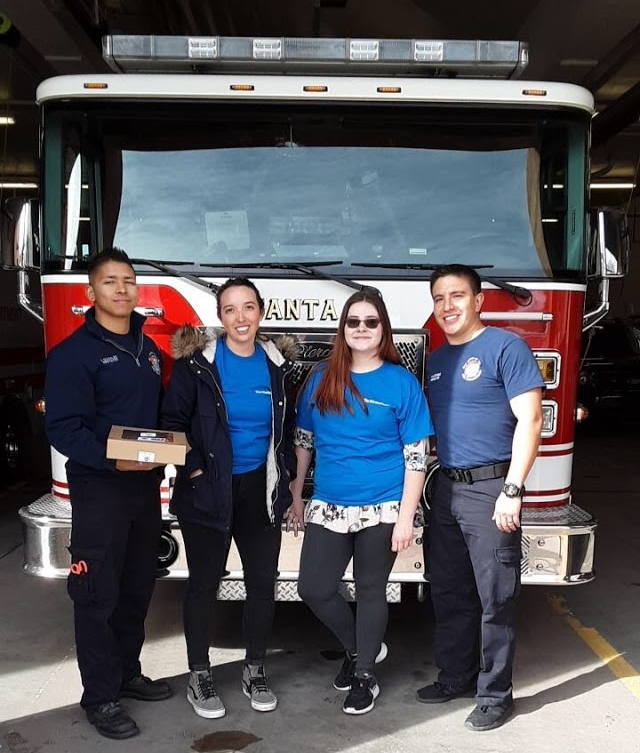 YouthWorks staffer Katrina Ortiz (center left) and student Liberty Adkins (center right) deliver treats to local fire station.